Johnny Mathis is bona fide proof that an entertainer can have a perfectly stellar career without all the controversy and scandal that sometimes goes along with it. This gentle and elegant man is responsible for what in my opinion is the single greatest male vocalist Christmas album ever recorded: Merry Christmas, which was released by Columbia Records in 1958. The LP was a collaboration of two giant musical talents: the perspicuous, perfect-pitch singing of Johnny Mathis; and the arranging/conducting genius of Percy Faith. After more than 35 years of collecting (and amassing more Christmas albums than even I know I have), this album has the distinction and high honor of being in the Ultra Top 10 of my Top 500, coming in at #3. Music from this Johnny Mathis album, along with music from Bert Kaempfert’s album Christmas Wonderland, were two of the biggest omissions on the Yule Log soundtrack; consequently, they will be the first two albums I take music from if I ever add a fourth hour to the program. Here now is absolutely one of the most beautiful songs from this very special and majestic LP, "O Holy Night." Click Here ~ "O Holy Night"
Click Here ~ "The Twelfth Of Never"
This is one of my favorite Christmas albums of all time. When I was a teenager I purchased this album through RCA Music Service which was a reissue but a few years ago was able to find the 1958 release in VG condition. Johnny Mathis would be an awesome addition to a fourth hour of The Yule Log. The original label this classic 1958 Johnny Mathis Christmas LP was printed on was the Columbia "6-eye" label (pictured left); Columbia began using this label in 1955. Then, in 1962, they switched to the "2-eye" label (pictured middle); Columbia used this label until 1970, after which it was replaced by the red/gold label (pictured right). Hopefully, the record you found is on the original stereo "6-eye" label. Yes, the one I found is the 1958 6 Eye label but it is the mono version CL 1195 I also have a different Stereo version with different artwork on the cover with Johnny sitting on the snow with his elbow on one knee, but the back is the same with the writing from Johnny Mathis. The record album is the 2 Eyed label with white lettering. Hopefully, I will find the original stereo release in one of my travels. The reissue cover you alluded to (pictured below) was the cover that Columbia Records began using in 1962 when they went to the new "2-eye" label; eventually (and thankfully), Columbia went back to the original (and best) cover with the picture of Johnny standing, holding his skis and ski poles. The picture on the 1962 reissue cover was an alternate picture taken from the same photo shoot as the picture that was used on the original 1958 cover. By the way, FYI: In the collecting world, the reason why these Columbia record labels from the 1950s and 60s are referred to as the "eye" labels is that the multiple little logo on the label represents the eye symbol (see below) of the parent company of CBS. Hence the name "6-eye" and "2-eye." I had to go to my Xmas music collection to comment and ask a question about Mr. Mathis. First of all, needless to say Johnny always had a beautiful voice to begin with. The album "Merry Christmas" is possibly his best selling album in the xmas catalogue(in my opinion). It always sounded so great that last year I bought on CD also by Johnny "For Christmas" which i was wondering if this was one of his official releases back in the vinyl days or just a re-packaging. It contains 12 tracks which none are from the "Merry Christmas"album. My favorite by him is the "Hallelujah Chorus". He does a very lively rendition of that one!! Thanks for the update Chip. I wasn't sure about the year for the first reissue. I also have Johnny Mathis "Give Me Your Love For Christmas" Columbia Records CS 9923 which has the red/gold label but it doesn't show a release year anywhere. According to Amazon.com it was released in 1969, as does eBay and a few other websites. Could this be a reissue being it has the red/gold label instead of the 2-eye? The Johnny Mathis Christmas album entitled For Christmas, which was released in 1986, is one of the many compilations that Columbia Records has released of Johnny's Christmas material over the years. Of the 12 songs on this particular compilation, 6 songs were taken from his 1963 Sounds Of Christmas LP, and the other 6 songs were taken from his 1969 Give Me Your Love For Christmas LP. Johnny's best Christmas album by far was 1958's Merry Christmas, and it has always been his best selling Christmas album as well. The album is simply in a class all by itself, and none of his other Christmas albums even come close. Between Johnny's smooth, supple and poised singing, and Percy Faith's great arrangements and orchestral backing, the album had an ethereal, celestial beauty and sound that was never matched by any of his subsequent Christmas albums. A distant second to 1958's Merry Christmas was 1963's Sounds Of Christmas, but again I stress, it was a far distant second. Yes, your copy of Give Me Your Love For Christmas is a reissue. The original 1969 pressings of this LP were on the "2-eye" Columbia label. 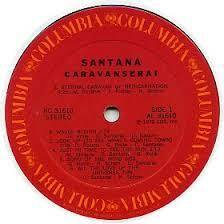 Then, beginning in 1970, the LP was printed with the new red/gold Columbia label. Finding an original pressing with the "2-eye" label could prove difficult as it was only in print for the one year in 1969. Does this compilation contain all of Johnny's original Christmas albums listed at the top of this thread? No Frank, this 50th anniversary compilation CD only includes songs from four of his five Christmas albums. Another great addition to the "In The Spotlight" series. Johnny's voice is tailor-made for beautiful Christmas hymns like O Holy Night. The 1958 LP Merry Christmas ranks as one of the all-time best. If I were to sit down and make a Top Ten List, I would agree with you that it would definitely be in my Top Ten. This album is a perfect marriage of Johnny's timeless voice and interpretation of these songs with the arranging/conducting mastery of the great Percy Faith. Whoever it was that had the foresight to put these two amazing talents together should have been awarded a special Grammy. But don't stop at his Christmas catalog. Look at the great non-Christmas music he has recorded. Hits like the aforementioned The Twelfth of Never, Chances Are, It's Not For Me To Say and Misty lay out a long line of memorable hits. Thanks Chip for adding a couple of clips of his great music! That person you were curious about who brought Percy Faith and Johnny Mathis together was none other than Mitch Miller, who at the time was the A&R chief at Columbia Records. What happened is after Johnny's first album for Columbia didn't fare so well, Mitch brought Johnny to Percy Faith, (who was Columbia's Music Director at the time) in the hopes that he could do something with him in the Pop Department. Among the many other artists that Percy had already worked with were Tony Bennett, Jerry Vale, Johnny Ray and Rosemary Clooney. Thanks for bringing the mystery man to the forefront. I did not know Mitch Miller was a high-ranking member of Columbia Records at the time. I thought he was another of the great, talented artists on the Columbia roster. Being the Artists & Repertoire chief, he would be the man to do everything possible to bring out the best in his artists. Thanks to his efforts, we have a timeless, classic album to enjoy forever. By the way, Mr. Miller had a couple of great Christmas albums of his own, Holiday Sing-Along with Mitch and Christmas Sing-Along with Mitch. Mr. Faith was right on with his description of his relationship with Johnny Mathis - everything clicked! Everything fell in its perfect place. I saw your new addition to the "In The Spotlight" series after I posted my reply to your revelation regarding Mitch Miller. I thought the name I saw at first was Glenn Miller, not Mitch Miller. I was curious because I didn't think Glenn Miller ever recorded a Christmas album. So, as soon as I placed my post, I went back and saw the name "Mitch Miller". As soon as I saw that, I thought what perfect timing. One of the things that makes this album so special is that Johnny is able to handle traditional carols and 20th century secular pop songs with equal aplomb. "O Holy Night" is, indeed, a beautiful example of the former, and I would submit Johnny's rendition of "Sleigh Ride" - still kept in heavy rotation on the vast majority of FM "all-Christmas" radio formats - as perhaps the pinnacle of the latter. I love Percy Faith's arrangements on this, as well. It's amazing how something that's more than half a century old can still sound as fresh as the day it was recorded. Precisely, Mike; that's what put this Christmas album in a class all by itself: Johnny's exquisite singing, plus Percy's brilliant arrangements and magnificent orchestra equaling a masterpiece of pure, pure gold. For me, nothing ushers in the season like Mr. Faith's playful introduction to 'Winter Wonderland' off Johnny's 'Merry Christmas' album, it's as if Mr. Faith was able to put the sound of falling, swirling snow to music. My grandparents, mother and aunts were all big Johnny Mathis fans so the 'Merry Christmas' album was a big part of my childhood, especially when it was being played on my Grandfather's huge TV/turntable stereo console. I still remember the day when I picked up the CD version in a Shop Rite when I was much older and beginning my own Christmas music collection. Is there a back story to the two bonus tracks that made it onto the 2003 remastered version ('Christmas Eve' and 'My Kind Of Christmas')? Just two tracks that they could fit on the vinyl? Columbia Records first acquired the rights to the original 1963 Mercury Records LP, "Sounds of Christmas," in 1971. At that time, they reissued the LP on their budget label, Harmony Records. Harmony Records was to Columbia, like Camden Records was to RCA. Anyway, in 1971, when it was reissued, it included 2 less songs: "The Little Drummer Boy," and a delightful original song, "Have Reindeer Will Travel." The former was the last song on side 1, and the latter was the first song on side 2. Therefore, that meant that these 2 songs were consecutive songs on the Mercury master. It is my theory that the master must have gotten damaged. So when Columbia Records reissued the LP on their Harmony label in 1971 as "Christmas With Johnny Mathis," they had no choice but to delete these 2 songs from the album. There could be no other explanation as to why Columbia would not have used these 2 great songs, none. Further proof of this is that they had Johnny go to the trouble of re-recording "The Little Drummer Boy" in 1969 for his LP, "Give Me Your Love For Christmas." But sadly, as we know, this recording was inferior to the version that was on the 1963 Mercury LP, which was arranged by the great Don Costa and conducted by Jack Feirman. This is such great information and why I feel like I'm gonna wind up spending a lot of time here (and ultimately becoming a pain in your a**). You would assume in the wikipedia/google age that information like this would be readily available on the internet, but it isn't. Maybe you're just appealing to the lunatic fringe, but tidbits like this are very much appreciated. I came across a 'sharity' site a few years ago that posted an mp3 of 'Have Reindeer, Will Travel' and they did mention that this track and 'The Little Drummer Boy' were omitted from 'Christmas With...', but I always assumed the version of 'Drummer Boy' on 'Give Me Your Love...' was the one that didn't make 'Christmas With...'. I'm happy to finally have the record set straight for me. After last Christmas, I decided to start doing my own Christmas vinyl transfers and began collecting and hunting down old albums that weren't readily available (or were significantly altered) in the digital age. I did find a copy of 'The Sounds Of Christmas' (albeit pretty beat up) and now I'm really interested in hearing the original version of 'Drummer Boy' so it will be moving up closer to the top of the 'to do' list. The bonus songs Christmas Eve and My Kind Of Christmas were recorded in 1961 and originally released by Columbia Records as a single 45-rpm record (catalog #42238). These were the first Christmas songs Johnny recorded after his triumphant 1958 Christmas LP, Merry Christmas. His next Christmas recordings would not come until the 1963 Mercury Records LP, Sounds Of Christmas. By the way, even though the title song on the LP is called The Sounds Of Christmas, the actual name of the LP itself is Sounds of Christmas (without the word "The"). Also, the two songs on the LP that were deleted from the later reissues, The Little Drummer Boy and Have Reindeer Will Travel, were originally released as a single 45-rpm record (catalog #72217) in 1963 in advance of the LP. Not at all, Jack. It's a common mistake that is made by many, including several websites, so you're not alone. The 2003 re-mastered edition of Johnny Mathis' "Merry Christmas" contains two bonus tracks from 1961, "Christmas Eve" and "My Kind Of Christmas", originally released on a 45 RPM single. Which was on the A and B sides respectively. I'm not immediately familiar with either track, so did either of them become a hit? Side A on the single was My Kind Of Christmas and Side B was Christmas Eve. And no, neither song ever charted. In the same year (1958) that Johnny Mathis and Percy Faith collaborated on the [i]Merry Christmas[/i] album, they also worked on an album of religious songs called [i]Good Night, Dear Lord[/i], which concludes with not one but two versions of "Ave Maria" (the Schubert arrangement followed by the Bach-Gounod one). Both are perfectly lovely, and well worth adding to your Christmas music collection. I can't say much about it yet though...just got it.